We’re sure you’ve noticed that year after year our beautiful tropical country is giving in towards the relentless heatwave. Staying cool outdoors, heck, even indoors is not as easy as it once was without the convenience of air conditioning units or refrigeration to keep your consumables, well, consumable! So what do we as Malaysians take to be the easiest thing to cool ourselves off with? 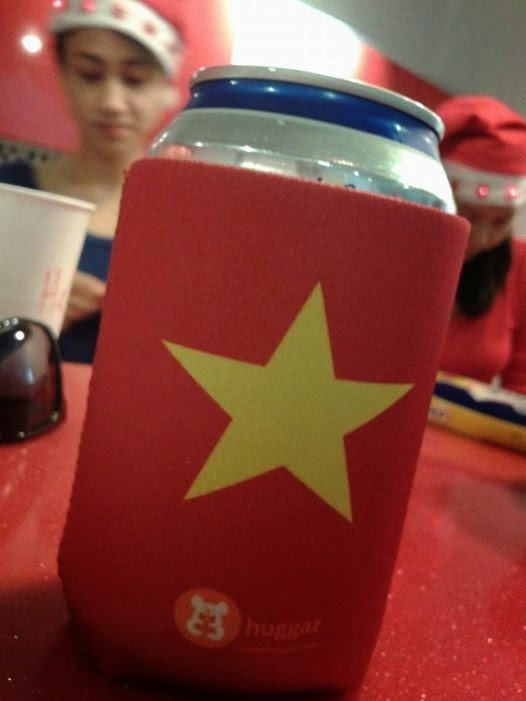 If you answered, “an ice cold drink” then congratulations, because you’re 110% Malaysian! But hey, what happens when we can’t even manage to hold on to our chilled drinks for long thanks to the perpetual warming weather? Here’s where Huggaz comes in; a Malaysian homegrown brand that’s set to solve that problem. Introducing Huggaz, an insulation accessory for drinking cans and bottles designed to keep drinks cold or warm (usually cold). When we first asked the creator of Huggaz, Deepak Gill as to why he decided to make Huggaz, he revealed that the cozies were actually meant for beer drinkers, and as a beer drinker himself, Gill found the warm weather in Malaysia to be quite a hassle to handle cool drinks for long periods of time. Thus, he decided to make this useful and convenient product. Though he did admit that the product is not exactly new as it is quite commonly used in other countries such as Australia, Thailand, Philippines and more, Huggaz brought it first for Malaysia. Is it only for beer? How about other drinks? Aside from beer, Huggaz can also be used on other cans or bottled drinks as its purpose is to slow down the rate of a drink’s warming rate when exposed to external room temperatures. “It is meant for drinkers, yes, but if you want to put other drinks in there, it doesn’t bother me. The purpose of Huggaz is to keep all drinks cold or warm,” said the 44-year-old businessman. Does it really work? How long can Huggaz keep the drinks cool/warm for? Huggaz is made from neoprene; a soft, flexible and durable sponge rubber which has good chemical stability and maintains flexibility over a wide temperature range. Neoprene has better insulation-efficiency and is more durable compared to other insulators. It is usually used to make wetsuits for surfers and divers as it provides thermal insulation, abrasion resistance and buoyancy. Now that’s a very good question. According to Gill, the name Huggaz is a play of the word ‘hug’ or ‘huggers’ and the main purpose of Huggaz is to hug the drinks (which explains the koala bear symbol they have on their website…you know, since koalas likes to hug!). Can Huggaz accommodate any can and bottle sizes? Gill mentions that the sleeve comes in sizes perfect for 330ml cans and 330ml bottles. But customers may have them customised according to the size that they want too. “We have a lot of customers who order for customisation, which I find really surprising. They come up with their own design ideas and they ask me to do the artwork,” said the founder of Huggaz. That’s not all folks, Huggaz also offers insulated wine carrier bags for wine bottles with single and double wine compartments. 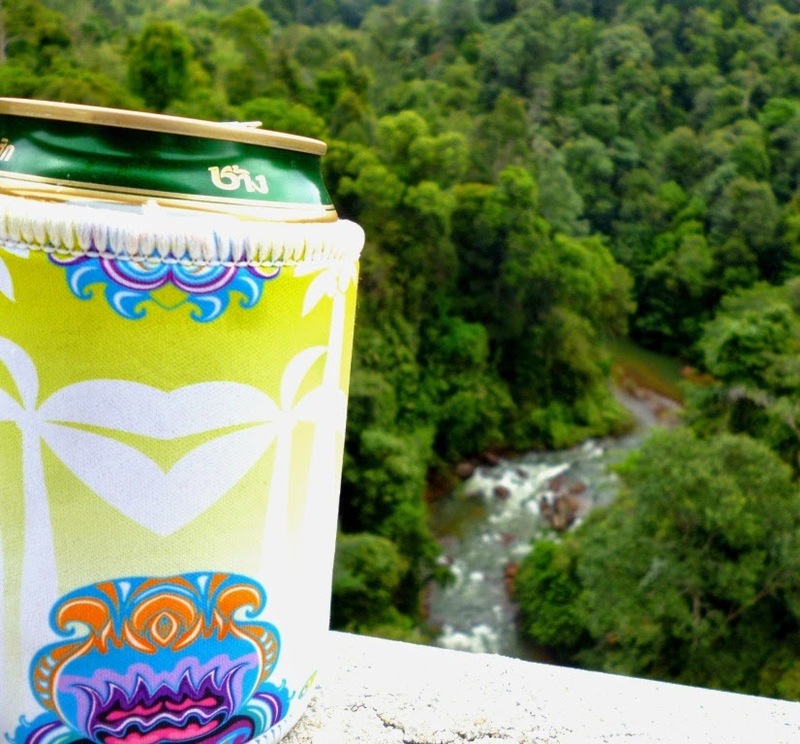 Huggaz has participated in various festivals and bazaars such as the Future Music Festival Asia (FMFA) and Urbanscapes, so that festivalgoers will get to keep their drinks cold in the outdoors. Though Huggaz has been in business for only a year now, Gill has said that he is planning to expand the Huggaz product range to ice boxes that come with a strap for users to carry around and also baby bottle cozies as it seems to be a popular request from many of his customers. Where can we find Huggaz? Jln Telawi 1, Bangsar Baru, KL. Taman Tun Dr Ismail, Kuala Lumpur. Taman Tun Dr Ismail, KL.